A Taiwanese patient received a matched liver and a matched kidney within only a month in a hospital in a city in northern China, according to an exclusive interview on Oct. 30 by the New York-based, Chinese-language television network New Tang Dynasty. 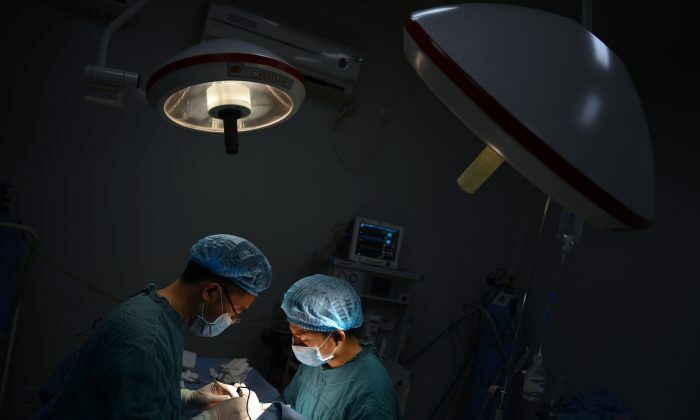 The extremely short waiting time for organ transplants has made China the most popular country for transplantation tourism, in which patients from other countries travel to China for organ transplant surgeries. The average waiting time for a patient in the United States to receive a matched kidney is four to five years, according to the U.S. Department of Health and Human Services in March. The Taiwanese patient with cirrhosis went to China on a tourist visa and arrived at the Tianjin First Center Hospital in Tianjin City in September 2012. The decision to have two organ transplants was in fact recommended by the surgeon, according to the patient’s family member, who doesn’t want to reveal his name. “We planned to have a liver transplant originally. [But] the surgeon suggested we transplant both liver and kidney at once instead of transplanting a kidney in the future,” the family member said. Such a marketing-like suggestion for more transplants is “ridiculous,” and having a matching liver and kidney at the same time is impossible in Taiwan, the NTD report says. However, finding matching organ sources wasn’t a problem at all in this case, as within one month the patient was informed by the hospital that both matching organs had been found. The patient and family were given little information about the sources of the organs, the family member indicated. “I didn’t even know what the matching condition was,” he said. The family member indicated that a special patient area specifically set up for international patients for organ transplant surgery was on the 10th floor of the hospital, and the security for the area was especially strict. The total organ transplant trip lasted for three months in mainland China and cost the patient and his family about $500,000 in total. However, the patient has suffered infection and stroke, and has remained hospitalized, the family said. Their one-month waiting time is not considered fast at the hospital, and another patient received an organ transplant within one week, the family member said. Similar short waiting periods for organ transplants have also been reported by Chinese state-run media. Uremia patient Xue Yanlin received two kidney transplants in 48 hours at Beijing’s Haidian Hospital in December 2004, according to the state-run Beijing Times. Xue was hospitalized on Dec. 19, 2004, and only nine days later, she was informed by the hospital that a matched kidney was found. She received transplantation surgery conducted by Dr. Han Xiuwu on the evening of Dec. 28. On the day of the surgery, Xue repeatedly said, “How come it’s so fast. I’m not prepared yet,” Xue’s husband told South magazine, which is sponsored by the Chinese Communist Party Guangdong Province Committee. The first transplant failed due to the patient’s rejecting the organ. Xue was told to have another kidney transplant on Dec. 30 because a new source was found, but that transplant also failed. Xue passed away on Jan. 30, 2005. After the persecution of the spiritual practice of Falun Gong began in 1999, the number of transplantations in China rapidly increased. China now performs the second largest number of organ transplants after the United States. The president of the Third Affiliated Hospital of Sun Yat-Sen University, Chen Guihua, also an expert on liver transplantation, conducted 246 liver transplants in the year 2005, which was one-third of the number performed in China during the previous 12 years, according to South magazine. Groundbreaking research was done by former Canadian Secretary of State David Kilgour and Canadian human rights lawyer David Matas in the report, later book, “Bloody Harvest.” Kilgour and Matas concluded that in the years 2000–2005, the most likely source for the organs for 41,500 transplantation operations was detained Falun Gong practitioners. Prisoner of conscience Wang Zhiwen was released from a brain washingcenter but then immediately put under house arrest.